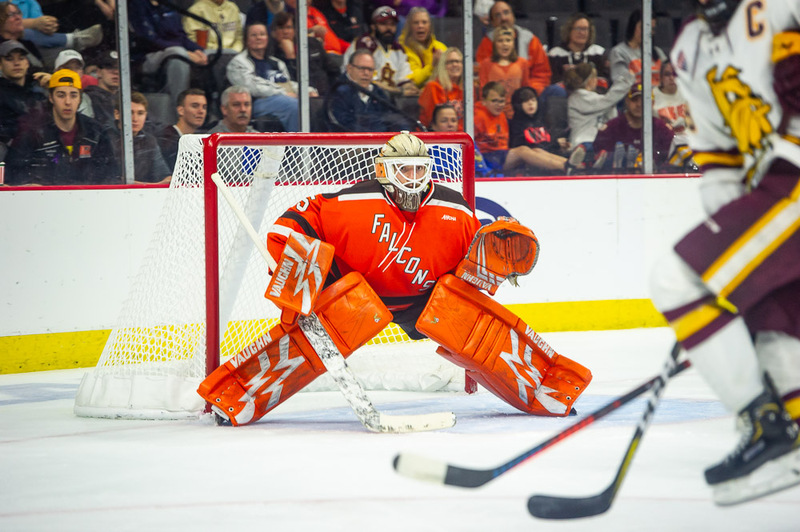 Bowling Green, OH – The Falcons’ top goaltender, junior Ryan Bednard, signed with the Florida Panthers this afternoon. Bednard, who was 20-8-4 this season with a 1.77 goals allowed average and .927 save percentage this season, was drafted by the Panthers in the seventh round of the 2015 NHL Entry Draft. Bednard’s departure leaves sophomores Eric Dop and Brett Rich as well as expected incoming recruit Zach Rose as the Falcons’ netminders. Bednard’s contract with Flordia is a two year, entry-level deal. He’ll spend the rest of the ’18-’19 season with the Springville Thunderbirds on an amateur try-out (ATO) deal. His entry-level contract will begin for the 2019-2020 season.